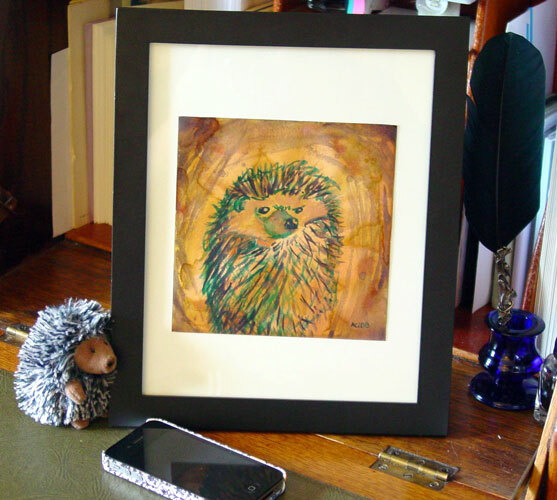 This hedgehog is very annoyed to have been disturbed, with a serious sulk going on as he’s curled into his little ball. He was painted with a very limited palette and bold, expressionist strokes, so he’s a bit of an experiment for me, but one I’m very happy with! I offered a little preview of him to my list and one of my lovely patrons snapped him up, so he’ll be going to a good home, too. 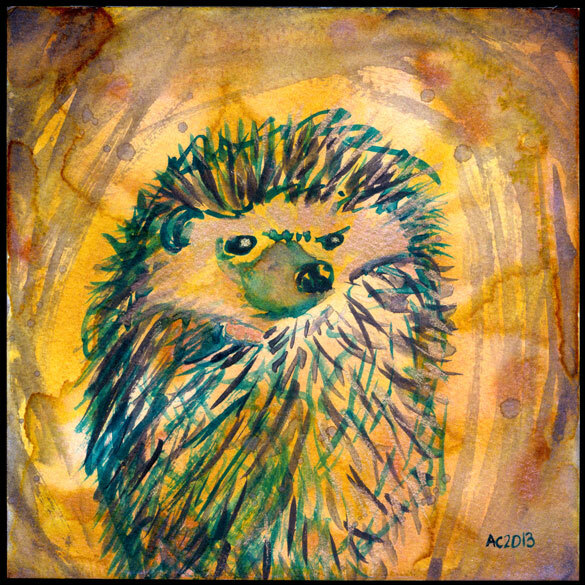 Angry Hedgehog, 6″x6″ watercolor on paper, nfs (sold). 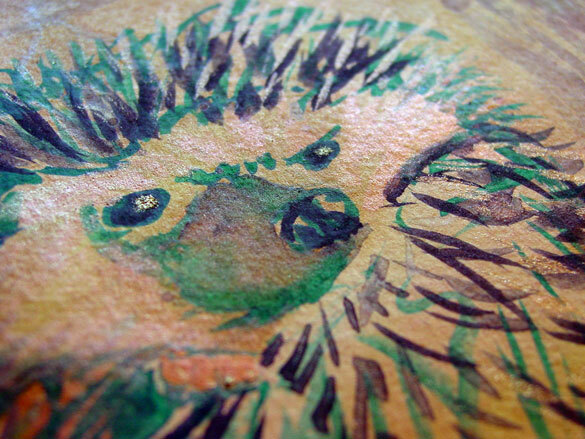 Above, you can see his pouty lip and little pink toes peeking out of his quills. Below, he’s been tucked into a temporary frame, so you can see how the iridescent paint blends into the rest of him when it’s not catching the light.